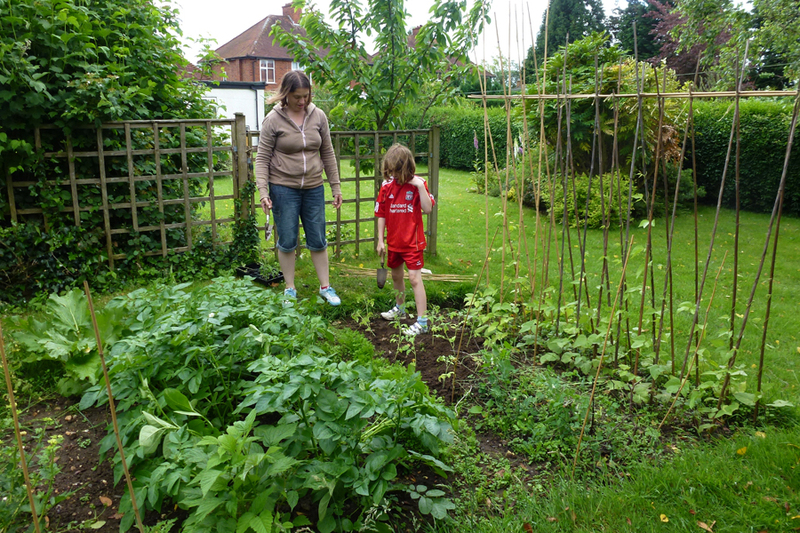 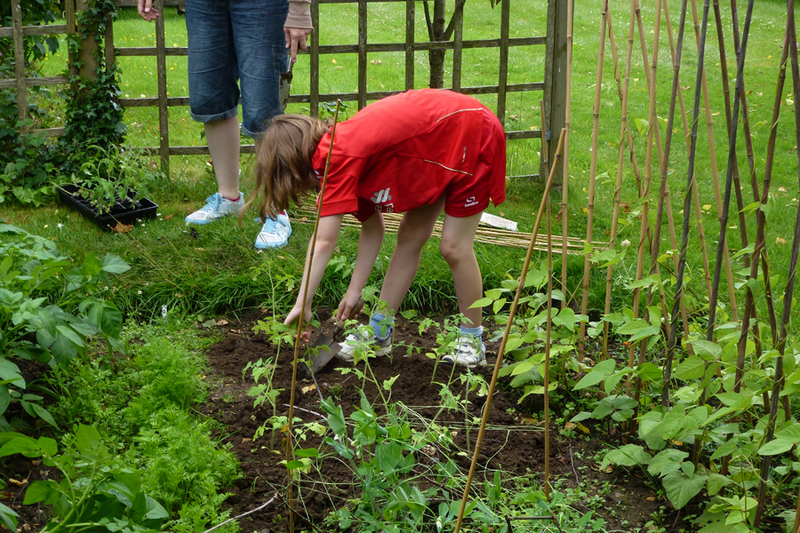 Things have been growing fast in the vegetable plot this year – including the weeds! 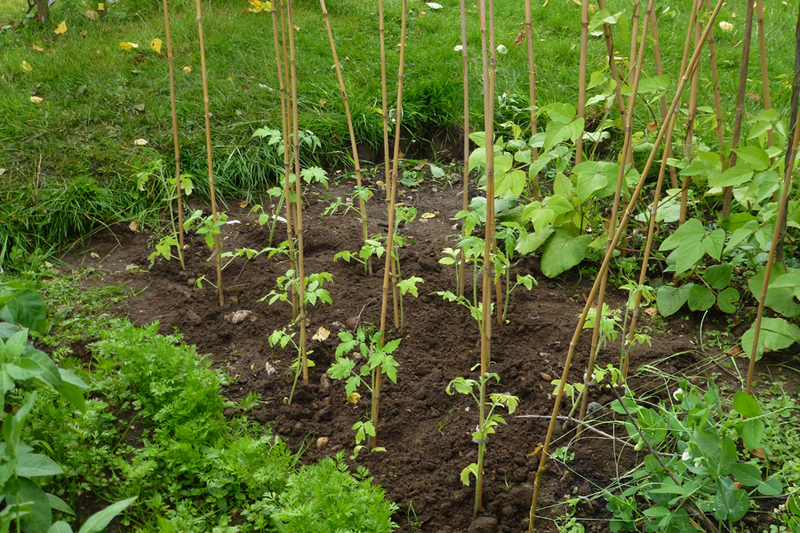 We now have carrots, potatoes, peas and runner beans advancing quickly as well as rhubarb and the gooseberry and raspberry bushes. 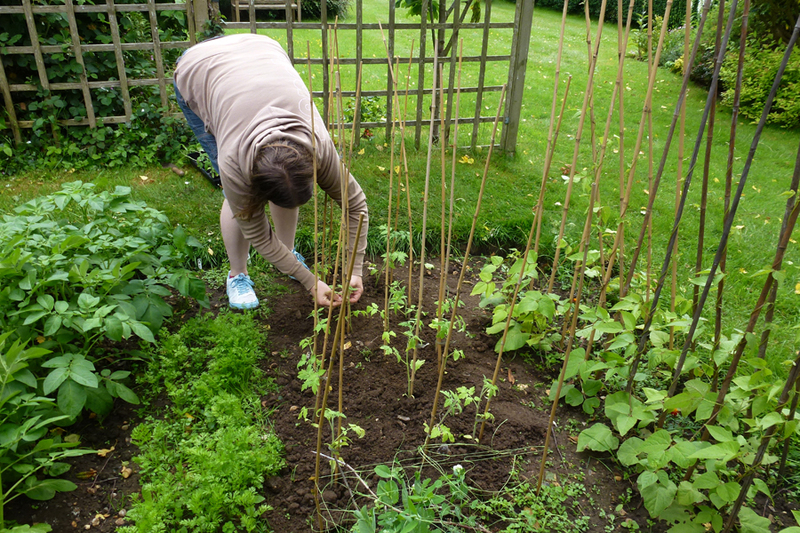 Today, Sarah and Rebekah took the opportunity to dodge the showers and plant some more tomatoes which had been growing in pots on our kitchen window sill at home.